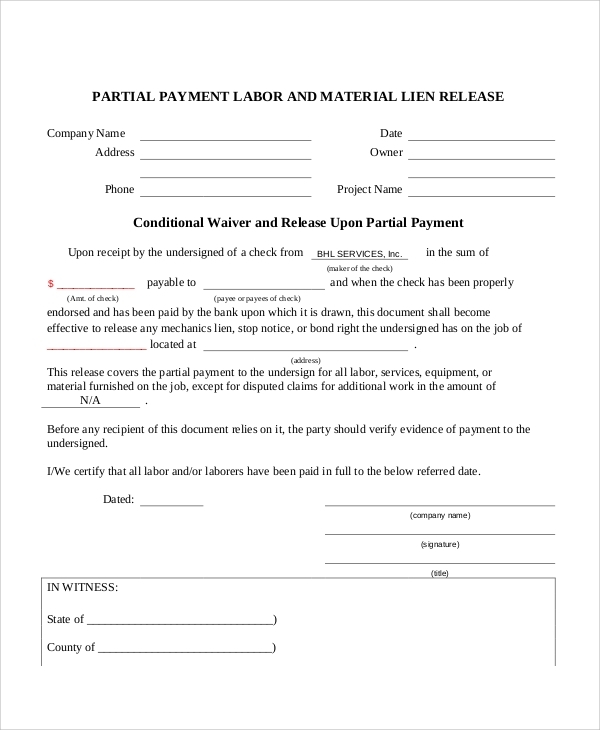 A material release may mean either a bank release where a lien, stop payment, or bond rights have been placed on goods, materials, or machinery. A material release means these have been cleared for release after all payments have been made by the buyer. 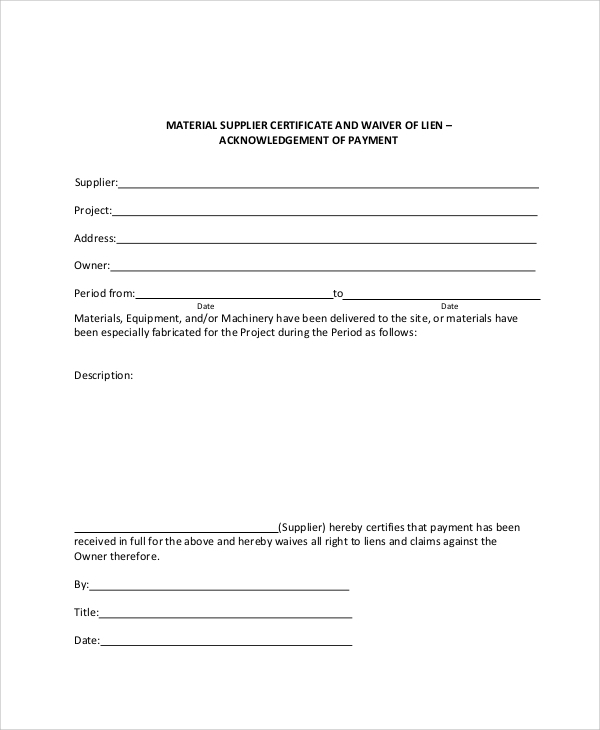 A material release may also mean the owner giving permission to copyrighted materials to be available for broadcast on media outlets for free use for the purposes of either publicity or promotion.Our website’s Sample Forms for material release give several examples of the abovementioned classifications. 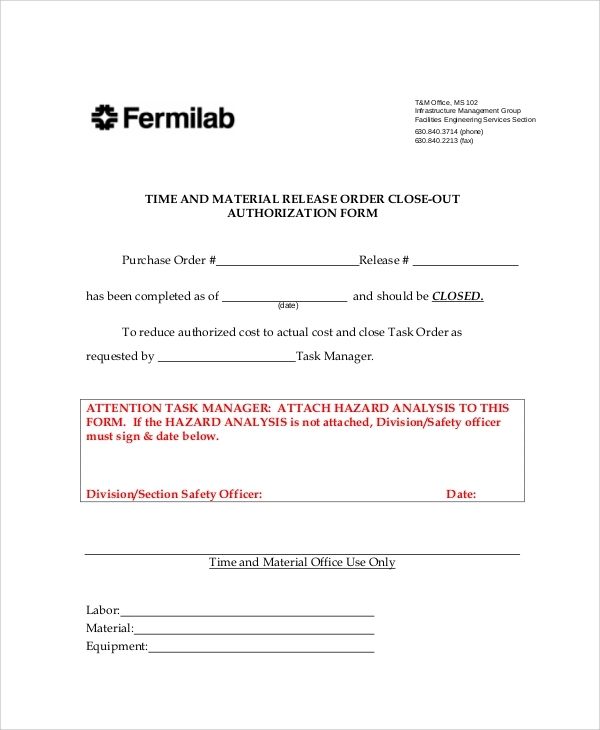 These will guide users on the basic provisions for material release and are intended to help guide users draft their own material release forms. On a exporting or importing business, a buyer needs to transact with a bank for payments on goods, materials, or machinery being shipped by the buyer. 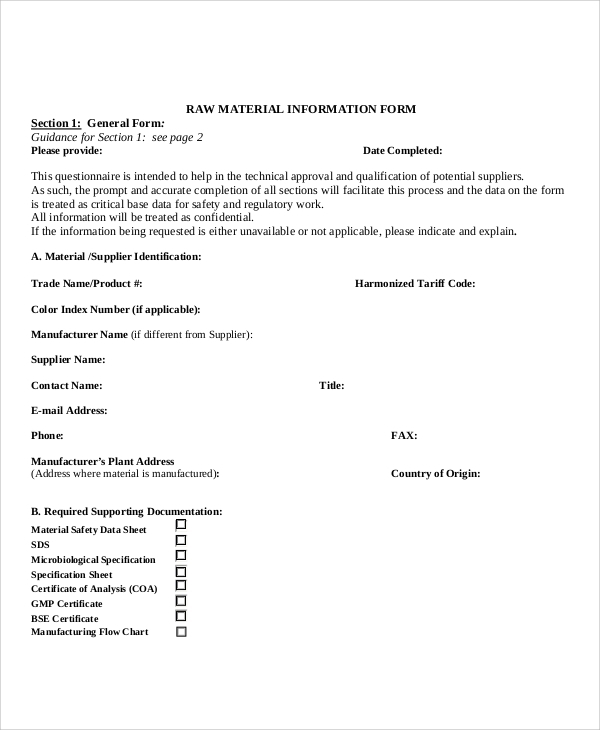 When a purchase order has been sent, the owner will ship the said items but will be placed on hold either in a warehouse or storage facility where the bank will put a lien on it until such time the buyer will have completed the payments and the goods will be released. 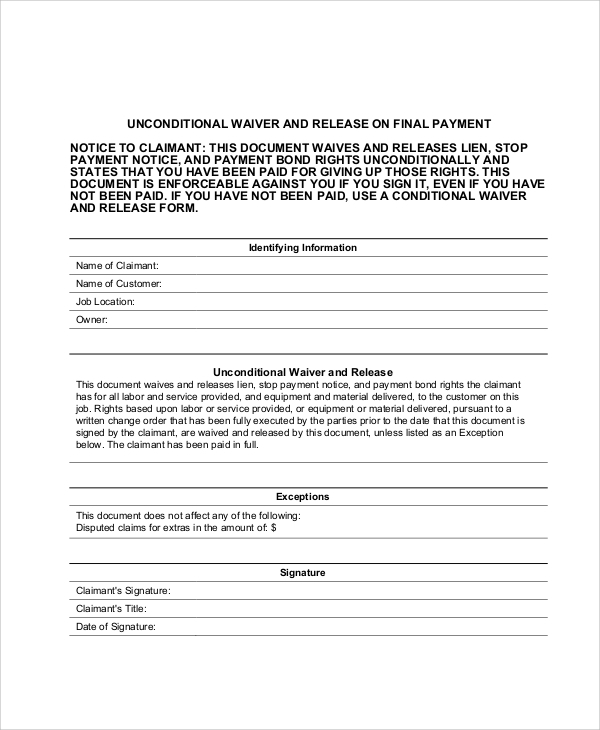 On a similar note, to ensure payment is being made, a seller does not normally release the goods for shipment unless some sort of guarantee is being tendered by the buyer, either through a bank guarantee or a letter of credit issued by the bank on the buyer’s behalf.A material release means the owner is free to have possession of goods being ordered through the bill of exchange on the transaction. When all the necessary payments have been made by the customer, which is detailed in the terms agreed by both the buyer and the seller, the bank will in turn issue a release form to schedule and execute the release of the goods. 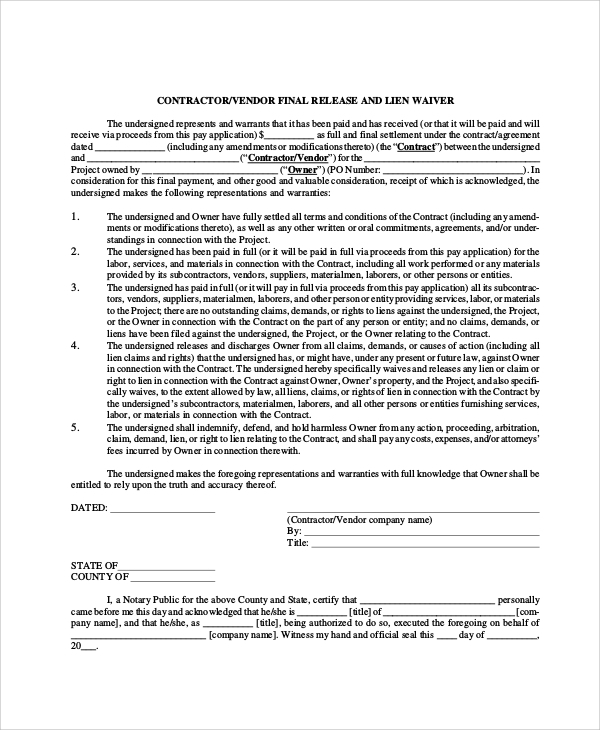 All the necessary information related to the release, delivery dates, and terms agreed upon are detailed in the release form in accordance of the agreement of both parties. The material release acknowledges the payment and satisfaction of all of the seller’s terms by the customer as stated in the transaction. For the seller, accepting the payment and having the bank issue the material release means the purchased goods are cleared for turn over to the buyer. The goods are then released by the seller through a shipper who is tasked with delivering the goods to the customer. For other kinds of release examples, please check more on our website or click on the links for Media Release Forms and Photo Copyright Release Forms, which can be used both by professional photographers, talent agencies, models, and even individuals who need to know the basic agreement procedures on such forms. These are all free for downloading in both Word Doc and PDF files. 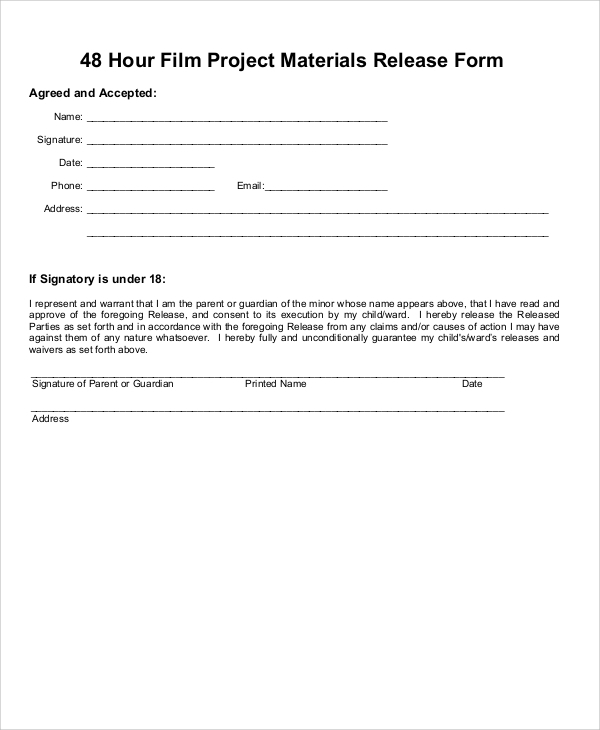 For record companies who wish to promote artists and their songs, the same material release form can be applied, which, through our samples, can be edited or modified to fit their specifications. A material release can be issued to radio stations to promote the artist, song, or label to be played for free over the airwaves. This is intended for the purpose of gaining enough airplay coverage to interest listeners and encourage them to buy or download such songs for a fee.For even more samples, please check out our Photo Release Forms that can be used for gaining permission for an individual’s photos to be used in published materials. These are also free for downloading and can be printed after modifications to user specifications.